Vampire: The Masquerade – Bloodlines 2 is a role-playing game (RPG) set in a Seattle faithfully re-imagined in the World of Darkness.. Developed by Hardsuit Labs, Bloodlines 2 is the successor to the iconic RPG Vampire: The Masquerade – Bloodlines, featuring reactive storytelling, fast-paced melee combat, and intriguing characters with their own hidden motives. Players will become the ultimate vampire as they stalk the city streets for prey, maneuver complex political relationships, and balance their need for blood against their withering humanity. The upcoming Vampire: The Masquerade - Bloodlines 2 PC, PS4 and Xbox One release date is expected to be March 31, 2020 in the US and the UK. 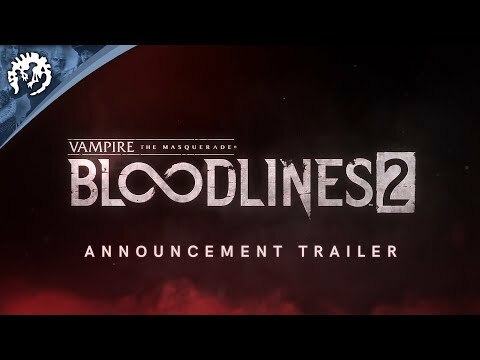 Notify me when Vampire: The Masquerade - Bloodlines 2 is available.